Have you heard about Identacor? If you are running a business (or a business owner), you probably have heard about this management solution service. Don’t worry if you have not heard about it. I’m happy to share with you what I know about this service. Summary: Identacor is a robust cloud-based identity and access management solution. In other words, it is an easy to use, highly secure and one demand identity and access management system that runs on cloud. Identacor’s headline is “Get Serious About The Cloud.” What does that mean to us all? Why is Identacor often considered as an interesting product for businesses? More importantly, what can Identacor do to your business? Let’s dive into these questions in today’s blog post. Are you ready find out everything you will need to know about this service? And before that, let’s start with the Identacor explainer video, shall we? Why would businesses want to use Identacor? This service’s single sign-on (also known as SSO) allows you to keep authentication traffic local when a request initiates inside a corporate network. More importantly, Identacor’s pricing is really (and beyond) reasonable which is a huge drawing point for many, including myself. Using this service, businesses and companies around the world can enjoy highly secure one-click access to multiple web applications. According to this management solution, they are using high level, cutting-edge technology to help increase savings (budget), improves workflow and ultimately, relieves the technical and administrative challenges faced by companies around the world when using the current web-enabled world. Let’s be honest. No one will use any product if it doesn’t have a unique selling point (USP). So, what is the unique selling point for Identacor? For me, it would be the ability to use one (single) username and password. For those in the industry, you will understand a number of usernames and passwords you guys need to store for using various systems. I’m sure that sounds familar, right? When this happens, we are wasting precious times trying to log in and reset passwords for the countless applications they use on a daily basis. This is where Identacor comes into play. With this service, they can avoid wasting time and complete more tasks that are beneficial to the company because this service allows you to use single username and password to access the countless applications. So, how do Identacor single username and password works? Basically, the concept of Identacor is pretty simple and straightforward. Users can sign in to their account from any devices (only once) and they can start accessing all their applications without having to sign in multiple times ever again. Now, that’s pretty forward, don’t you think so? Imagine the hassle-free experience your team can enjoy as they are able to do more work faster and don’t even have to remember the dozens of usernames (and passwords). As Identacor connects to a wide variety of web applications, it makes it an excellent choice for business owners and IT personnel. The automated provisioning for major applications such as Office 365 further improves the onboarding process as the company does not need to spend a large amount of time trying to guide the newcomers with workflow. This is easy to use, makes it extremely versatile for every user. Another major advantage using this service is the level of security. With the central place to manage different types of apps under one roof, security can be applied to all the apps, devices and even users from a single location. The powerful two-factor authentication in Identacor elevates the security level and ensuring that only the relevant team member with proper access is able to login to the designated application. Apart from that, Identacor also focuses on enforcing usage of strong passwords to avoid unexpected challenges in the future. You will be surprised that there are many companies that do not enforce usage of a strong password by their employees. Take a look at the recent hacking case on Equifax and you will understand what I mean! There are still parties who don’t consider the usage of a strong password is important but for Identacor, the usage of a strong password is beyond paramount. What are the applications currently supported by Identacor? At this point of time, there are over 5,000 apps that can be integrated with Identacor. According to the team behind this service, they have yet to encounter any applications that could not integrate with Identacor. Therefore, it is safe to say that the integration with Identacor is probably the least of your concern. Afterall, the ability to have all your employees able to use the company’s application under one roof is definitely a massive plus point. How much does Identacor cost? I’m glad you asked. Generally, Identacor comes in three different pricing, which is Basic, Pro and Enterprise. Basic is the lowest tier and the pricing starts at $1 per user per month. The maximum cap for this plan is 25 users. In this plan, you can manage up to 10 apps and further divided into five groups of users. The basic plan provides all the basic features such as reporting, Identacor Mobile, shared login and secure auto login. However, several higher performance features such as Active Directory, Integration, and Multi-Factor are either basic or no available for this plan. The next pricing structure is Pro which starts at $5 per user per month. This plan is a much better, marked up plan compared to the Basic one. The two core features which make this plan better than Basic is the number of apps (100 applications instead of 10) and groups which sit at 20 instead of 5 on Basic. Of course, the Enterprise plan is customized pricing and it caters for over 250 active users at one time. Due to the size of this plan, users in this pricing structure will be able to enjoy unlimited of everything (nearly). If you are looking for a better pricing (yeah, who doesn’t, right? ), then consider going for yearly payment as this will automatically entitle you to a 10% discount. If you are a large corporation and would require more features, you can easily reach out to the team for more information! What are other benefits using Identacor? 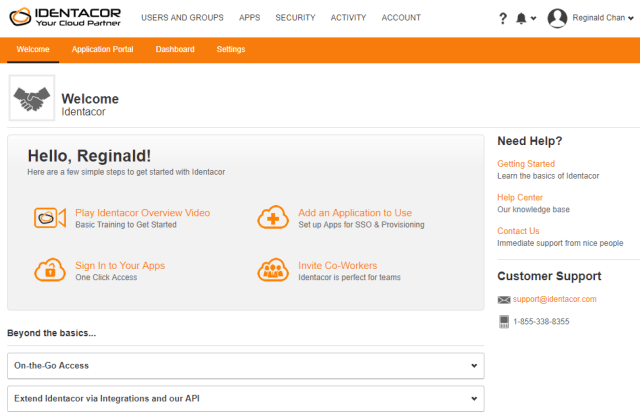 Using Identacor, users can now log in to all the application under one roof. Gone were the days that multiple logins is required. This helps to improve efficiency at work. Identacor allows you to integrate with Active Directory. You can easily find multiple applications to use along with this service. Every company in the world wants to eliminate and control their cost. 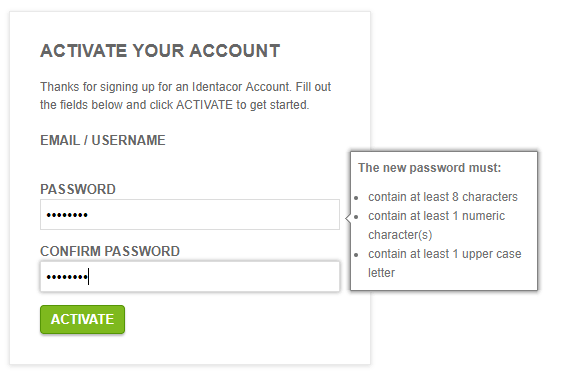 Using Identacor, companies can no reduce the Password Reset Cost. With just clicks, Identacorcan is a great centralized tool to manage multiple cloud applications and even users. For companies that are often worried of compliance, they are going to love Identacor. Access tracking and automated periodic reports are just two of the vast majority of reports that can be used to comply with regulatory compliance and audit requirements. With today’s technology, we are often lingering around mobile devices. Using Identacor, users can use Identaor Mobile for single sign-on to all your applications, regardless it is on Android or iOS devices. What do you think of Identacor? Leave a comment below and let’s discuss!